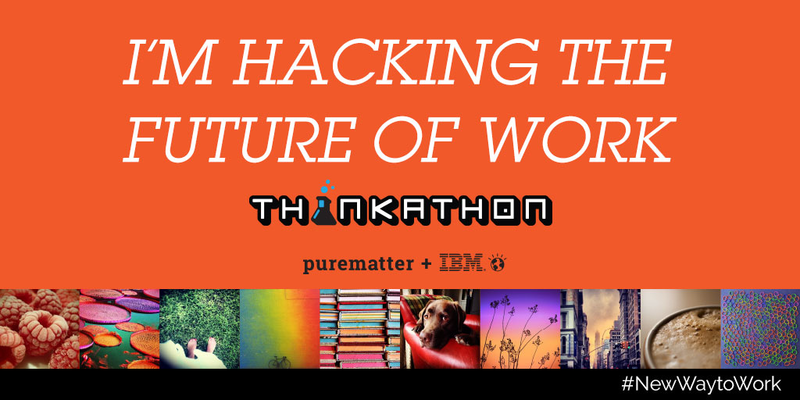 Last week I had the privilege to attend the inaugural Thinkathon session in New York City hosted by the amazing team at purematter and IBM Social Business. Thirty of us were brought together from all walks of digital life to tackle the future of work. What will the workplace...and workspace...look like? Will any work get done? What about the younger-aged (and younger-minded!) workforce? 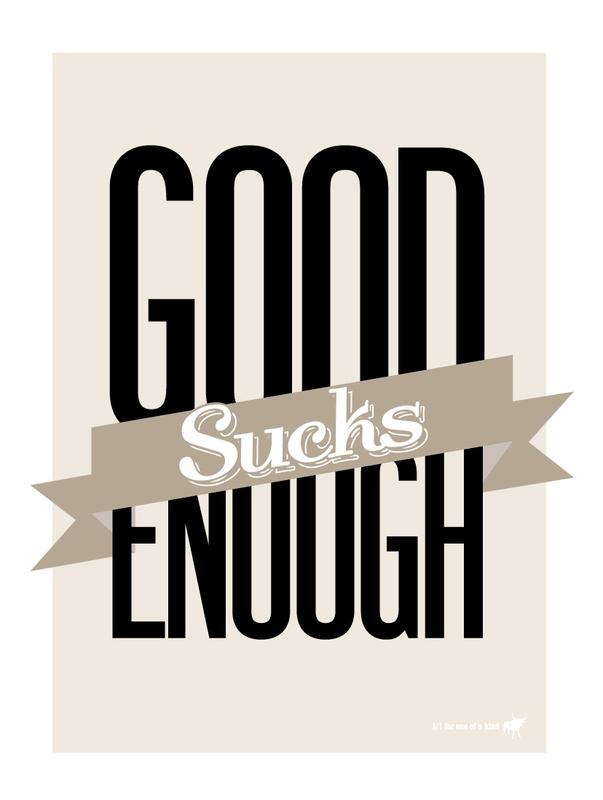 Are they all self-serving work-life balance fanatics who don't appreciate 70 hour work weeks? We were brought together to destroy the world of work as it exists today. The Future is Cool...and Scary! Our session kicked off with a fascinating (and haunting) message from Faith Popcorn, a prophetic futurist who is so accurate you'll want to follow her around and simply listen. Robots, genetic transformation, and the potential for more than one hundred million displaced workers got us all fired up to continue our mission! The afternoon was then taken over by Hendre Coetzee, an absolutely brilliant facilitator and leader who guided our group of "world-of-work assassins" through a series of highly interactive and challenging sessions on what it will mean to work in the future. Whoa! Heavy topics for a group of heavy-hitters! By the way, when, not if, you seek out Hendre for guidance in your own organization you will not be disappointed. He is masterful at his craft. What are you doing to get out in front of the evolving world of work? Are you clinging to the status quo? Don't do it! The future is now! I'm fired up to hack the future of work in my organization! Who's ready to destroy with me? As it turns out, I wasn't born with experience. In anything. I made my way through high school and college...still no experience. I stumbled in to the world of work and tried to find my way. I didn't have any experience at that point either. So I jumped in to graduate school...clinging to a little tiny speck of real life. I did have one important thing...lots of confidence. It's not that I wasn't intimidated by those around me with years and years of experience. They offered perspectives on issues that I didn't even realize existed. But I listened...and learned...and wanted more. My confidence never wavered, even if the those around me thought I was wasting my time. One of the unexpected outcomes of being both confident and willing to take risks is that good things happen. For me those good things meant new jobs with expanded responsibilities. Even when I took a risk on an operations role that was eliminated a year later, I knew I had made the right decision to go for it. How many HR leaders have actually spent any time in an operations role? I've continued to take risks...BIG ones! But each was worth it. Even when others simply didn't see the value because they had not allowed themselves to open their minds to the modern world of work. It's okay. We all get there eventually...maybe I'm cursed being on a different schedule than others. Do you have the potent combination of confidence and risk inside of you? I think so. It creates opportunities for those of us willing to see them. It opens doors that a few years ago we might not even have seen right in front of us. It can make all the difference. I'm no expert...but I do know that life is too short to hold back. Take a closer look at your world...and go for it. I love modern, sleek furniture. The days of giant dark wood desks and foreboding offices are gone for me. I prefer a more open style that sends a message to everyone that I'm not hiding behind my over-sized mahogany (esque) structures anymore. Doesn't the HR job title already get in the way of employees being comfortable in our workspace? There's another furniture discussion we've all heard in the HR universe. I don't like that one for a couple of reasons. First, HR has lots of power. Don't believe me? Just ask any employee that has been in trouble since 1950. Still don't believe me? Try randomly selecting an employee and asking them to come to your office because "you need to speak with them." I wonder what type of reaction you would get? Second, whining is lame, it detracts from the credibility of the profession, and erodes the HR leader's personal brand. Oh yes, personal brand. 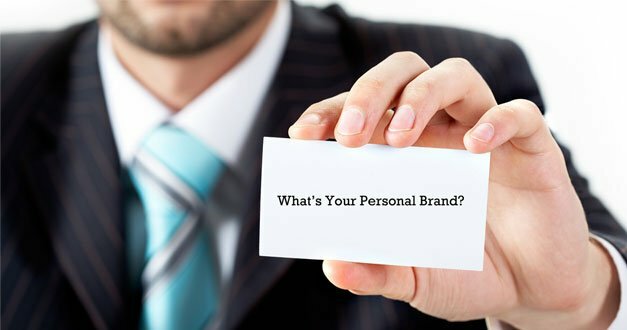 By now we all realize that EVERYTHING we do affects our personal brand. There is no distinction between personal and professional life any longer. In what seems like a never-ending attempt to cling to the power crumbs thrown from the operations leaders, HR can lose focus. 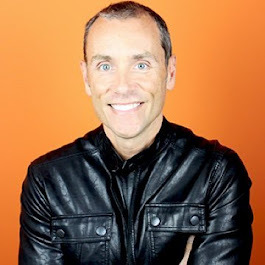 Our reality is that through reaching out and allowing other leaders to feel they have some of HR's power, we will actually grow our value to the organization. Consider this...a manager who is stressed about a difficult situation in her department reluctantly reaches out to HR for support. Feeling as if she's failed and has to give up control in order to get her problem resolved, HR has a decision to make. 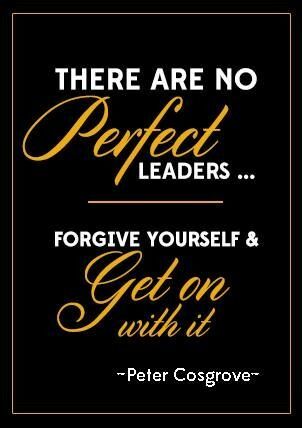 The shrewd HR leader does much more than "coach" the leader through her problem. The real opportunity for HR is to focus on ensuring that leader feels valued. The performance planning process no longer equates with the leader's failure. Instead, it becomes a partnership with a colleague vs. an exercise in waving the white management flag. Don't let the leaders in your organization surrender. The connection you build with them in lieu of "telling them how to handle the situation because they couldn't figure it out" will push your value and power through the roof. Everybody wins. I like winning. 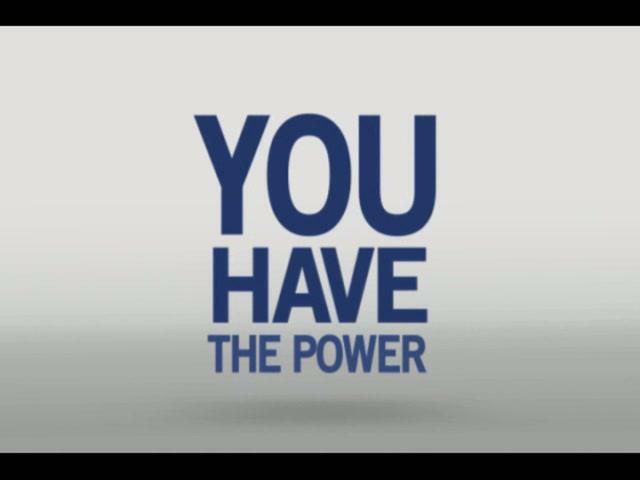 Who holds the power in your organization? You have more than you think. Respecting that power, and sharing it with your colleagues will go a long way to building your brand, and your HR team's brand too. Everybody wins. What are you going to fight for today? We use these terms all the time, don't we? It's as if we've accepted that our careers, or lives, or passions naturally settle into a routine that is less than stellar. I love the work I do. You probably do too. That doesn't mean I like every single thing I'm responsible for, but in total I am passionate (yes, I used that word) about leadership and change and innovation. But what happens if the work we love suddenly becomes something different over time? What if we finally notice that the energy and excitement we once felt has changed? Maybe the work has evolved and we just didn't notice? Maybe expectations have changed and we didn't fully understand? Maybe the natural changes that occur in life caught up with us and "suddenly" we realize that what we once believed to be true is no longer accurate? Once we have clarity that our careers, or lives, or passions are just "good" a new world opens up before us. I'm not convinced that life should just be good enough, or that I should be thankful for everything just so I don't sound ungrateful. Why shouldn't your career be great? Why shouldn't you be fired up when you think about your work? Why is settling something we're almost expected to do? I'm not playing that game, and neither should you. ...you need to stop playing along. Let's return to a time when our energy and passion drove us to excel in our work. Hold others accountable. Hold yourself accountable. Keep pushing yourself and those around you to avoid the trap that settling represents. It's time to take your power back because quite honestly...settling stinks. I've spent years working out....and stopping...then starting again. It's not an uncommon cycle for many of us. I tried various strategies, programs and tricks to keep myself motivated. None of them had the staying power to help me move from being a "talker" about fitness to actually becoming committed to my health, until the summer of 2013. If you asked me if I knew working out and eating clean were good for me I would obviously answer yes. But if you asked me if I knew how to commit to being healthy I would only recently be able to answer. That's the funny part. My brain knew the right answer, but I did not fully realize the powerful difference eating clean and regular exercise would make in my life. For the last fourteen months I've had a different answer when I'm asked about health and fitness. My transition from knowing I needed to workout, to understanding that I needed to be committed every day has changed me. My world starting moving faster than ever before. Yours may have picked up speed too. Balancing the many hats we wear in life, managing nonstop changes in the workplace, and pushing myself to take on new challenges for the first time in my career all happened during this period of time. ...but I couldn't figure out how to quiet my mind when it was racing with so many thoughts, ideas, and pressures. ...but I couldn't find the right formula to balance my energy for the responsibilities I had to deliver on. 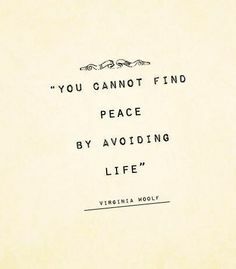 ...but I couldn't "do fitness half way" and find any peace. So I went all in. I realized the combination of eating clean, a decent amount of sleep, training at a high level, and pushing myself harder than ever before actually brought a sense of calm I had not experienced in the past. Think about that for a moment. My commitment to health actually slows my life down, gives me some control, and brings me peace each day. What techniques do you use to quiet your mind? Do the vices in your world include a commitment to building energy through hard work in the gym or at home with a DVD or workout routine? Is your network part of your fitness lifestyle? Do you fuel your body to build the energy you will need to be successful? Or, do you allow stress to be a convenient excuse to sit on the couch and make unhealthy choices.